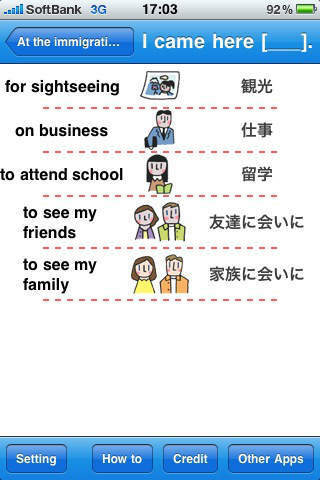 on "On board the plane", "At the airport". 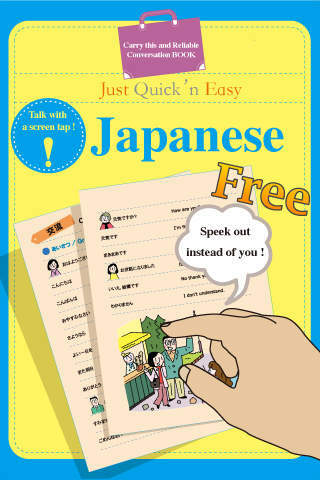 This "Just Quick`n Easy Japanese" is an excellent app for every situation on your trip to Japan. 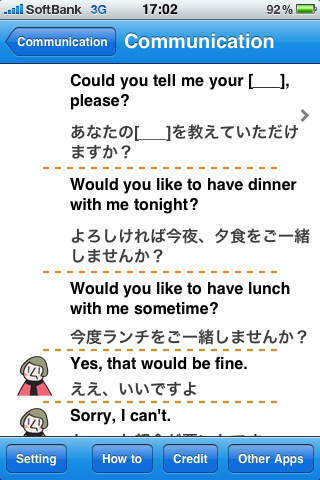 This app, that is also good tool for practicing Japanese pronunciation, is developed simplified system for easy to use on iPhone without any additional functions.